The vendors are looking for offers in excess of £1,400,000 with the woodland by separate negotiation. An exclusive private gated residential development comprising of three individual gated properties with beautiful surrounding gardens and separate woodland extending to 3.121 acres with development potential or equestrian use. quality fittings throughout with planning permission for a large detached garage complex. office facilities & sun balcony. Heated pool complex with sauna, jacuzzi, & games area. apartment with planning permission to be converted into a three/four bedroom house. The vendors are prepared to accept a part exchange on either residential or commercial investment properties subject to inspection and valuation. The vendors are prepared to take a part exchange on a commercial investment property at a value in excess of the sale price of the property. An exclusive private gated estate comprising three properties with beautiful surrounding mature lawned gardens and separate woodland. 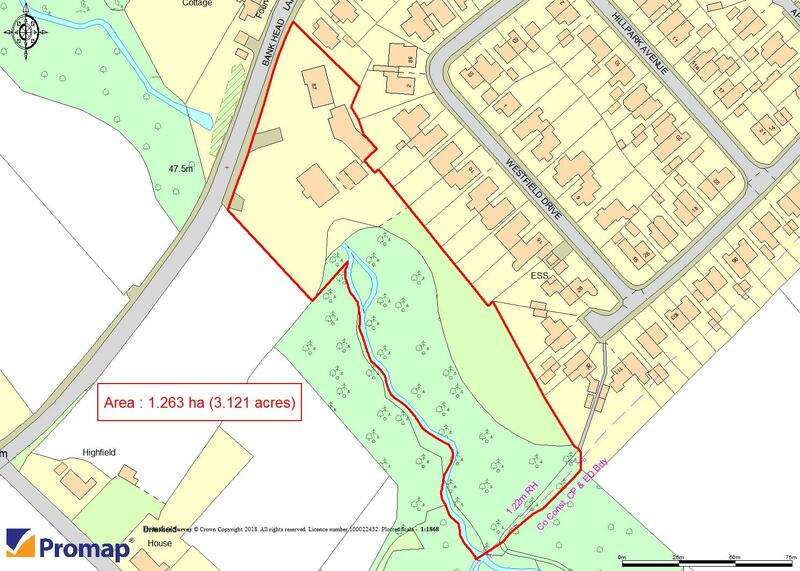 The site extends to 3.121 acres which includes woodland area with specialist oak and ash trees, mature lawns, children’s play area, ornamental well, circular turning area with decking. The properties are approached by double cast iron entrance gates and railings to front elevation gaining access to all sections of the property. Stirling House: An impressive four/five bedroom detached principal house with high quality fittings throughout with planning permission for a large detached garage complex. Valley House: Exceptional detached four bedroom private house with lower ground floor office facilities & sun balcony. Heated pool complex with sauna, jacuzzi, & games area. Offices & Apartment: A detached house presently used as a private office and first floor apartment with planning permission to be converted into a three/four bedroom house. Approached via its own private driveway to double cast iron entrance gates, Stirling House has the benefit of solar panels, gas fired underfloor wet heating system to all floors and double glazed timber windows throughout. ‘Lutron’ controlled lighting system and ‘Sonos’ music system. The property is constructed of traditional locally sourced coarse sandstone, hand dressed with pitch blue slate roof supported on timber. Timber panelled door with side windows, sash style windows to inner gables, Travertine tiled flooring. Feature solid timber open tread staircase with timber newel posts and glazed bannister with a polished chromed handrail. Travertine tiled flooring. Double glazed sash window to the front elevation, three further sash double glazed timber to gable elevation and either side of chimney breast. Double glazed French doors to side flagged patio area. Double glazed sash timber windows to front and gable elevations. Double glazed timber windows to gable and rear elevations. Three piece suite comprising fully tiled shower cubicle, pedestal wash hand basin, bracket wash hand basin, chromed radiator towel rail. Range of high quality oak furniture including island breakfast bar with complimentary black granite work surfaces. Built in ‘Bosch’ electric oven and grill, built in ‘Bosch’ gas hob and canopy, built in ‘Lamona’ dishwasher, built in wine chiller. Travertine tiled flooring, double glazed timber sash windows to gable and rear elevations. Range of fitted base and wall units with black granite work surfaces with twin drainers, enamel ‘Belfast’ sink with chromed mixer tap, Travertine tiled flooring. Two piece suite comprising wash hand basin on granite plinth, low level w.c, Travertine tile flooring and walls, chromed radiator towel rail. Double glazed timber sash window to rear elevation, Travertine tiled flooring, single panel central heating radiator. This room houses the electrical controls and sound systems for the house. Feature mahogany and glazed staircase. Feature landing with mahogany newel posts and glazed balustrade, full wall double glazed window to front elevation. Double glazed timber sash window to front and gable elevation, built in wardrobes. Three piece suite comprising shower cubicle with power shower, bracket wash hand basin, low level w.c, ceramic tiled walls and floors, double glazed timber sash window to gable elevation, chromed radiator towel rail. With fitted rails for hanging, single panel central heating radiator. Double glazed timber sash dormer window to front elevation, double glazed timber sash window to gable elevation, twin fitted wardrobes. Double glazed timber sash window to gable elevation, twin fitted wardrobes. Three piece suites comprising fully tiled shower cubicle, bracket wash hand basin, low level w.c, double glazed timber dormer window to rear elevation, chromed radiator towel rail, Travertine tiled walls and floors. Double glazed timber sash dormer window to rear elevation, cloak cupboard. Five piece suite comprising boat bath with chromed mixer tap and shower fitment, twin wash hand basins on marble plinth with timber cabinets beneath, low level w.c, full shower cubicle, feature curly chromed radiator towel rail, double glazed timber sash window to rear elevation. A detached stone built slate roof boiler/plant building. Stirling House has the benefit of full planning permission for a large double garage and first floor accommodation with WC. Approached via its own private driveway to double cast iron entrance gates. Constructed of brick and stonework with pitched tiled roofs supported on timber. Fully fitted with three work stations, full internet connectivity. Gas fired boiler supplying central heating and domestic hot water. Stone staircase with wrought iron balustrade, stone flagged patio. Double mahogany entrance doors with leaded stained glass side windows, marble flooring. Feature mahogany double door with floral leaded window, warm air vent. Light open lounge with full wall double glazed sliding French doors leading to stone flagged sun balcony with wrought iron fencing. Double glazed picture window to front elevation. Stone arched fireplace, coved ceiling, warm air vent. Double glazed timber window to front elevation, ‘Adams’ style electric fire, coved ceiling. Range of high quality fitted gloss units with complimentary ‘Corian’ work surfaces and breakfast bar, single drainer stainless steel sink unit, ‘AEG’ ceramic hob and extractor hood, Built in ‘AEG oven, built in ‘Rangemaster’ wine chiller, double glazed timber windows to front and gable elevation. Fitted base units with complementary work surfaces, stainless steel sink unit, double glazed timber windows to gable and front elevations, ceramic tiled flooring, coved ceiling. Constructed of upvc double glazing and stonework, ceramic tiled flooring, ceiling fan. Double glazed upvc window to conservatory and rear elevation, range of high quality fitted mahogany wardrobes. Five piece suite comprising corner bath, fully tiled shower cubicle with ‘Mira’ shower fitment, low level w.c, pedestal wash hand basin, bidet, ceramic tiled walls and floor, double glazed upvc window to rear elevation, coved ceiling, ceiling spotlighting. Two piece suite comprising pedestal wash hand basin, low level w.c, ceramic tiled walls and flooring, double glazed upvc window to rear elevation. Mahogany open tread staircase with feature handrail. Open landing area with feature balustrade, double glazed upvc window to front elevation, fitted linen storage cupboard. Double glazed upvc window to gable elevation, double panel central heating radiator, fitted wardrobe and dressing unit, timber panelled ceiling. Double glazed upvc window to gable elevation, double panel central heating radiator, fitted wardrobes and dressing unit. Double glazed upvc window to front elevation, single panel central heating radiator, fitted wardrobes. Four piece suite comprising fully tiled shower cubicle with ‘Mira’ fitment, panelled bath, pedestal wash hand basin, low level w.c, single panel central heating radiator, double glazed upvc window to rear elevation. A detached office or cottage constructed of stonework and brickwork with pitched tiled roof supported on timber. The office and apartment building has full planning permission to be converted into a three/four bedroom private residence. Double glazed double doors and side windows, double fitted wardrobes, two double panel central heating radiators. Two secondary offices or store rooms, single glazed timber windows, timber panelled ceilings. Bracket wash hand basin, low level w.c, single panel central heating radiator. To the rear of the property is a wrought iron open tread external staircase leading to first floor apartment. Double glazed upvc window to front elevation, double glazed French doors leading to balcony with wrought iron support railings. Two double panel central heating radiators, double glazed timber window to side elevation. Fitted base and wall units, single drainer stainless sink, four ring gas hob, ‘Whirlpool’ electric oven and grill, ceramic tiled floor. Single panel central heating radiator, spotlighting to ceiling. Three piece suite comprising shower cubicle, pedestal wash hand basin, low level w.c, double glazed upvc window to rear elevation, ceramic tiled walls and flooring, single panel central heating radiator. Wall mounted gas boiler providing central heating and domestic hot water, ceramic tiled floor. Spiral staircase leading to second floor. Feature spiral balustrade with wrought iron and timber, three ‘Velux’ skylights, feature Lancashire Rose upvc double glazed leaded round windows to both gable elevations, fitted wardrobe, eaves storage. Carport with three stone columns. Constructed of brickwork with steel portal roof. Three double glazed upvc windows to front elevation, pool with full cover and Jacuzzi, side personnel door, separate room with heating system. 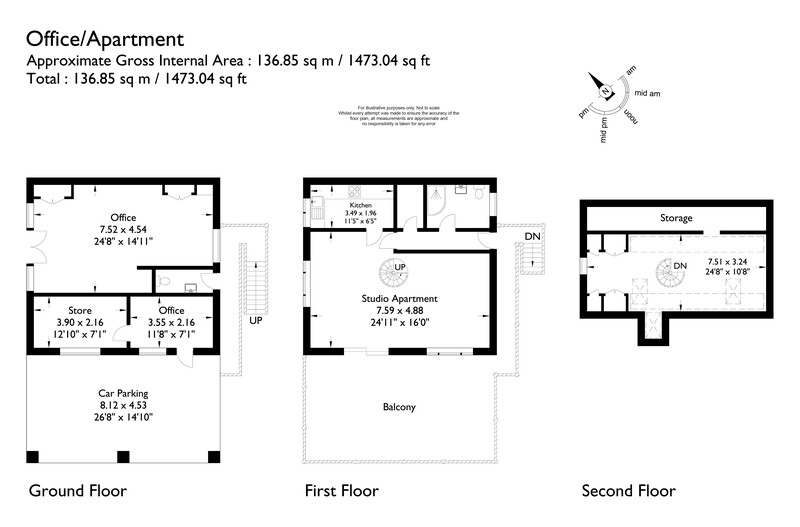 Fully fitted bar facility, snooker table, sauna, w.c, shower room.